Whenever we talk about Internet and convenience of online world, we should never forget classified advertising. 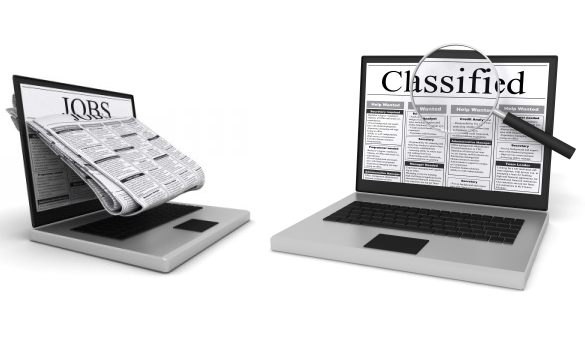 Online classified advertising is defined as “the type of advertising that posts ad and is common in newspaper, magazines, or websites for free or low in cost”. For future oriented organizations, it has become vital to go for classified online advertising as it has many advantages and fruitful results. Online Classified Ads are one of the easiest ways to reach maximum people and increasing customer base. Big brands today investing their marketing dollars in multiple portfolios but along with that, they are focusing on classified advertising due to increasing number of online users. Classified advertising can reach wide range of customer at any demographic location. You can reach your potential market within short time and make your offer at larger scale. For this reason use of classified ad has become so popular. Through your classified ad you can get in contact with your customers directly. Most of the companies place their contact details online so their customers can easily get in touch with them. This is mostly done by companies who post ads for jobs or job hunting firms. This gives direct message to the customer to make queries and get answers. Classified ads are easy to manage for advertiser as it can easily be removed or placed online. Companies go for selected package of time period as soon as the time ends, the ad is removed automatically. This is quite easy to manage and update as everything going online. The most basic advantage of online classified ads is that most of them are for free and those who charge cost, it is very low and economical. It saves your dollars as required in other advertising tools such as television ads or billboard advertising. The size of the ad is also very important in this regard as short ads are low cost. Some of the popular online classified websites are; craigslist, ebay, olx etc. Another primary advantage of having classified ad is that it offers multiple categories including consumer goods, financial service, job hunting and etc. it offers opportunities for online shoppers so they can purchase easily over the internet without being there. Classified ad is useful from SEO perspective as well because it can give a backlink to the advertiser’s website. You can use backlink in the ad so it will redirect customers to your website increasing your website traffic and lead ultimately. Online classified ads give real time data about what people visited your ad and how much made contact showing interest. If you have posted an ad targeting specific market, it can give you effective results purely depicting results of your specific market. Summing it up, it is very clear that online classified ads are helpful to save efforts, time and cost. Check out for online classified websites offering their services to post Ads and ready to help you in reaching thousands of people without investing millions. Make sure that you have done a thorough research on these websites, so you can get desired results.